2- We all dream of a world with bikes everywhere for everyone. Singapore got 30,000-ish and we look at how that's going and what happened next. 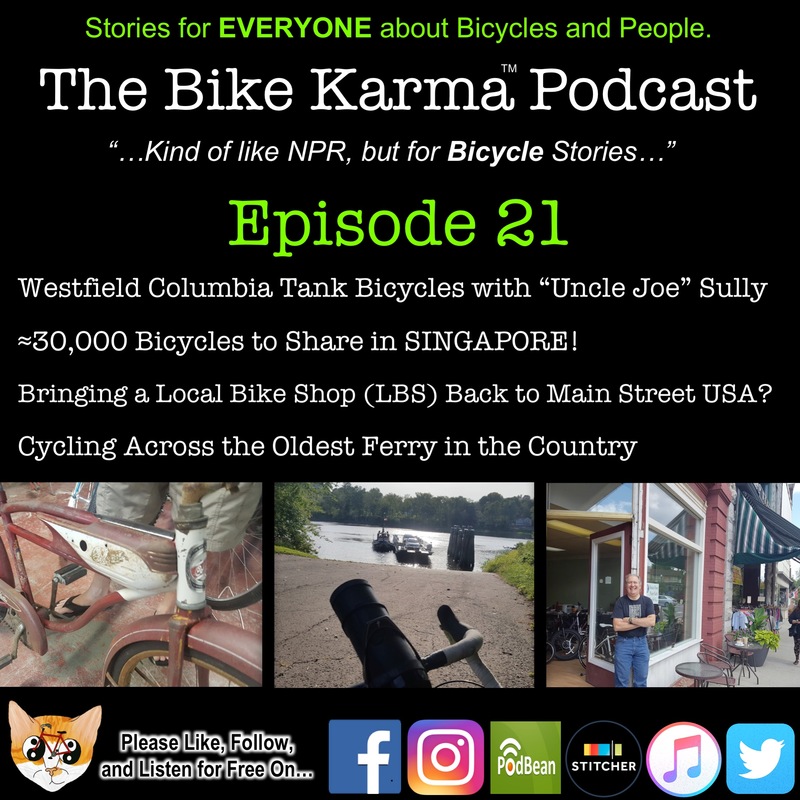 3- What is it like to bring a bicycle shop back into "Main Street USA" in the 21st century? 4- We take a short trip on the oldest continuously operating Ferry in the USA across the Connecticut River.